Atlantic City, New Jersey, is a bustling tourist area. 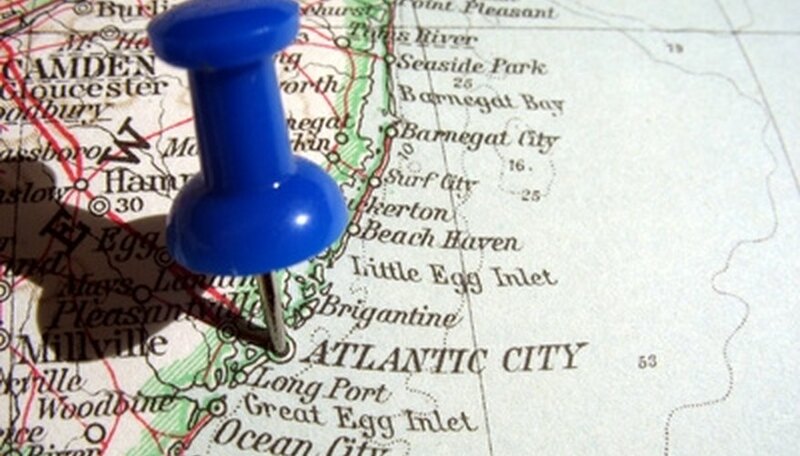 While you may immediately associate it with casinos, Atlantic City also offers world-class spas, water sports, fishing, an expansive beach, and a boardwalk which spans more than four miles along the Atlantic Ocean. For a romantic evening, consider dining at one of Atlantic City's fine restaurants. Red Square is famous for its frozen ice bar, and vodka vault with a selection of more than 200 vodkas. This restaurant features a rich, Russian-inspired décor with a large crystal chandelier and cozy red velvet banquettes perfect for a private, romantic meal. The menu features a wide selection of appetizers including fine caviars, tuna tartare, foie gras, grilled Portobello mushroom with lump crabmeat, and a Russian Blini. Dinner options include filet mignon, seared duck breast, blackened Ahi tuna and lobster fettuccine. Food is a tactile experience which can range from casual, everyday dining to something special and exciting. Fondue is a form of dining that slows the pace of the meal and provides a menu perfect for sharing with that special someone. Small pots filled with an array of melted cheeses are served with varied ingredients like vegetables, bread and apples. Entrees such as filet mignon medallions, lobster, ravioli and shrimp are cooked right at your table in individual fondue pots. The menu includes four courses including dessert choices that feature chocolate-inspired fondues with milk, dark and white chocolates. This entertaining dining experience will please the palate as well as serve as an exclamation mark to an intimate evening. This upscale restaurant with modern Asian atmosphere is richly decorated with water features and a stunningly large Buddha statue that watches over diners. The sound of cascading water, the opulent decor and perfect lighting sets the stage for an intimate evening, while the menu is sure to tempt your taste buds. Appetizers include options such as Kobe beef satay, edamame ravioli, grilled octopus and steamed seabass roll. Entrées include noodle dishes such as wild mushroom chow fun, lobster fried rice served with sweet peas and Thai basil, cashew chicken served in a plum wine sauce, grilled lamb chops, wasabi-crusted filet mignon, and pan-roasted breast of duck. The Knife and Fork Inn is a longstanding staple of the Atlantic City dining scene with roots that stretch back to the era of Prohibition. The interior boasts mahogany wood trim, hand-painted ceilings, a balcony, porch and opulent dining room. The setting is perfect for sharing a meal with that special someone. Menu options include appetizers such as mini Kobe beef burgers, fresh oysters, lobster spring rolls, tuna tartare and a seafood sampler for two. Dinner selections include filet mignon, sirloin steak, filet mignon served with jumbo lump crabmeat, short ribs, pork porterhouse and an array of fresh seafood selections. Anderson, Caryn. "Romantic Restaurants in Atlantic City, New Jersey." Dating Tips - Match.com, https://datingtips.match.com/romantic-atlantic-city-new-jersey-6028020.html. Accessed 19 April 2019.